Botox, Dysport, and Xeomin are all used to counter wrinkles. They’re a purified form of botulinum toxin A, meaning there’s no botulism risk when used properly. They work by blocking the nerves that contract muscles, softening the appearance of wrinkles. 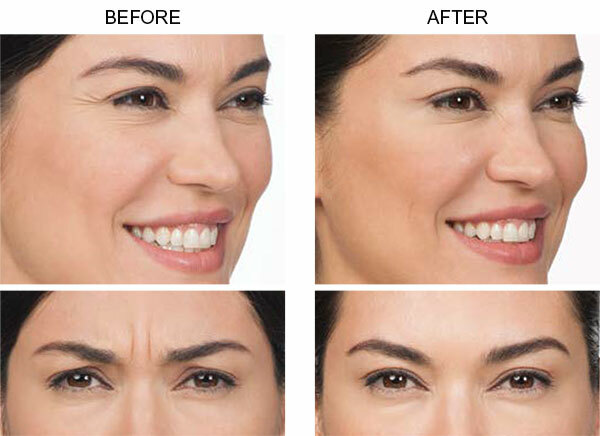 Botox is most effective on wrinkles that haven’t quite set — “dynamic” wrinkles that appear while you’re moving your face, such as when you frown. “If you don’t move the muscle too much, you won’t form the wrinkle,” says Columbia University dermatologist Monica Halem, MD. She considers Botox preventive. If you’re breastfeeding, pregnant, or plan to become pregnant, the FDA recommends that you talk to your doctor before starting Botox, Dysport, or Xeomin. Don’t be a pill. You’re more likely to get a bruise at the site of the needle injection if you’re taking aspirin or ibuprofen; these medications thin the blood and increase bleeding which causes the bruise. Skip the pills for two weeks in advance of your treatment. You should also tell your doctor — before treatment — about any supplements you’re taking, even if they’re “natural,” because some (such as fish oil pills, gingko, or vitamin E) also thin blood. Your doctor may ask you not to use those supplements for two weeks before your treatment. Go easy. Ask your doctor for a more natural, expressive look. Your doctor can adjust the dose accordingly. Don’t party on. Spas and parties are fun, but not for injections. 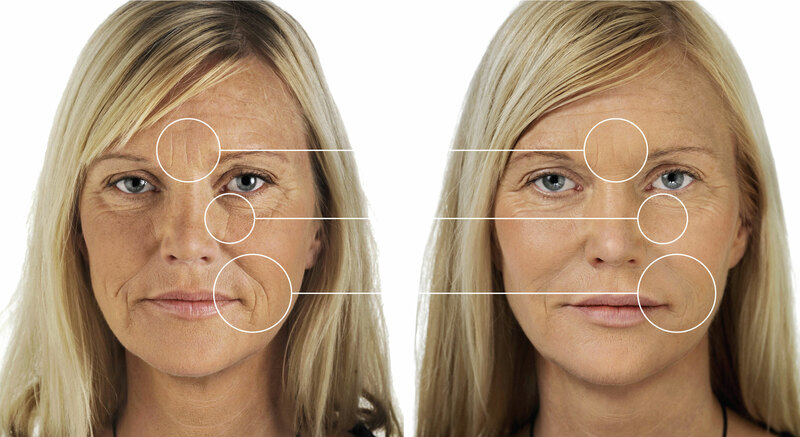 These wrinkle treatment should only be done by a doctor who is board-certified in dermatology or plastic surgery. A small blood sample is taken from the person being treated and put into a centrifuge or other specialized device that spins at high speed. This process separates platelets from other blood components. The concentration of platelets is then injected into the area of the person’s body that needs to be treated. 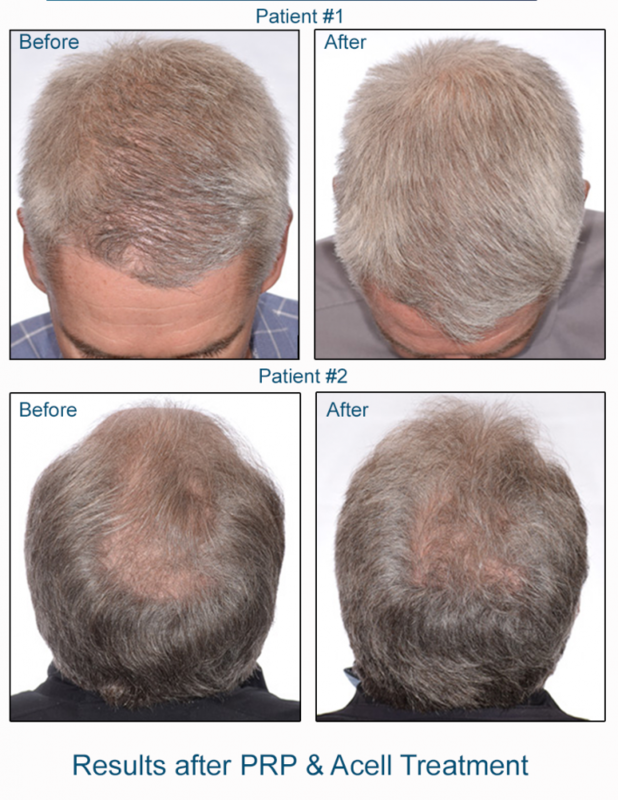 In hair restoration, ACell is combined with PRP (platelet rich plasma) and injected into the scalp. The application of ACell and PRP causes miniaturized hair follicles to become healthier and larger, producing more robust hair growth. ACell activates follicular progenitor cells (adult stem cells) and PRP is loaded with growth factors that promote rapid angiogenesis and localized cell growth. Effective for both male and female pattern hair loss, ACell + PRP has also regrown hair in alopecia areata, eyebrowhypotrichosis and other patient cases with non-hereditary hair loss. The nutrient rich plasma (PRP) is extracted from the patient’s blood and then concentrated before being reintroduced into the scalp for hair loss. These vital platelets contain growth factors that activate and rejuvenate cells in the body. The concentrated platelets in PRP contain tremendous amounts of bioactive proteins, which include the growth factors PDGF (platelet derived growth factor) and VEGF (vascular endothelial growth factor). These growth factors initiate and accelerate tissue repair, and, according to experts have also been shown to have positive effects for hair loss. This safe therapy has been around for decades and used successfully in the science of healing wounds and injuries. JUVÉDERM VOLUMA® XC instantly adds volume to create a more youthful appearance for up to 2 years with optimal treatment. KYBELLA® is administered as a series of injections to the treatment area under the chin, destroying fat cells and producing gradual results. 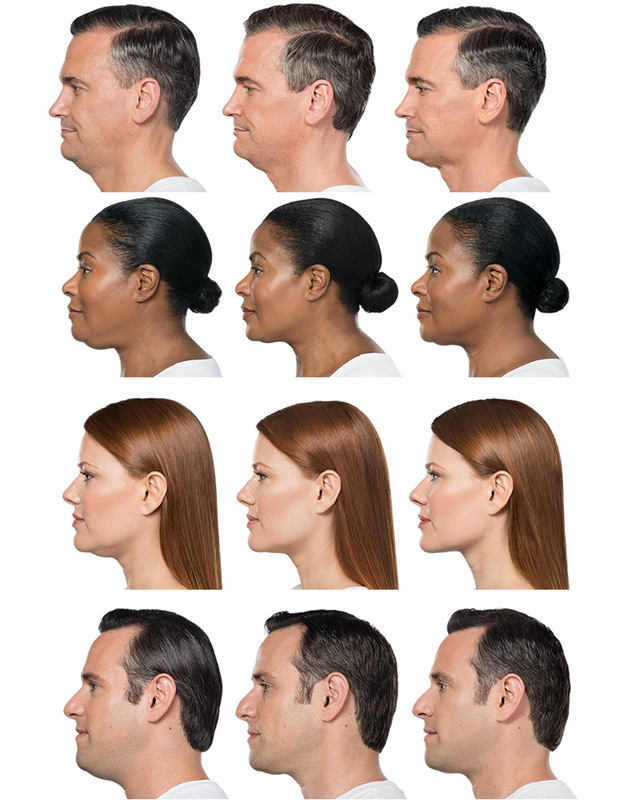 Everyone’s chin profile is different, so your physician will tailor* treatment to you. The number of treatment sessions will vary based on the amount of fat under the chin and your treatment goals. Restylane ® is one of the newest injectable, non-surgical facial treatments designed to slow and hide the effects of aging. Restylane® filler injections are composed of a clear hyaluronic acid-based gel that not only fills in lines and wrinkles in the face, but also adds moisture and lubrication to the skin, making it feel younger and more comfortable. To learn more about Restylane®, including the cost, benefits, and possible complications, please read the sections below. Restylane ® is a clear, non-animal-based, biodegradable gel that is composed of hyaluronic acid, which occurs naturally in the body. Originally developed in Sweden, Restylane® filler injections are now marketed in the United States by Medicis, a leading pharmaceutical company that offers a wide range of other skin treatments. 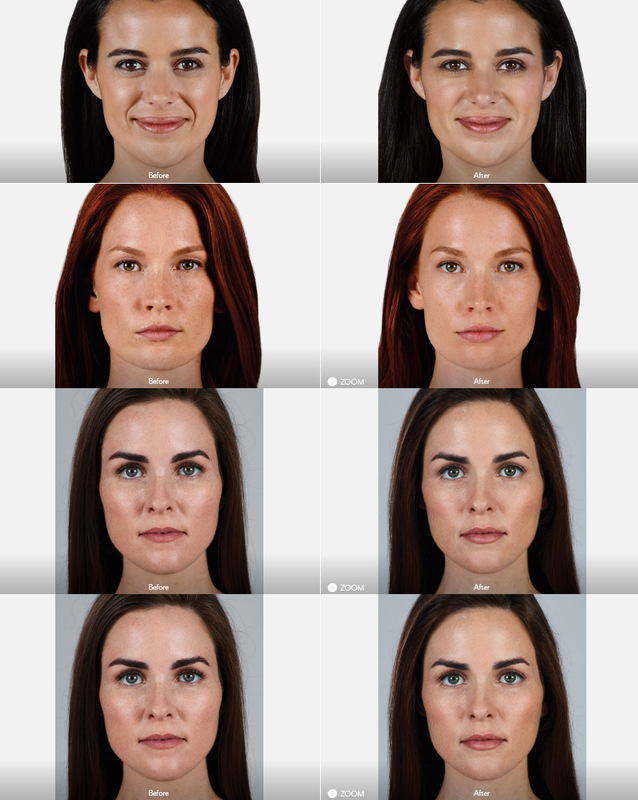 Restylane® is created from tissue cultivated in a laboratory, and is an excellent alternative to other fillers such as collagen and Hylaform®, which are both derived from animal products.Click edit button to change this text. Since Restylane® treatment requires no incisions and involves a very easy recovery process, it is very rare for a potential patient to be excluded for medical reasons. Furthermore, patients who cannot use other hyaluronic acid treatments because of the bird proteins they contain can receive Restylane® injections without risk of allergic reaction. A very small portion of the population may experience an adverse reaction to the bacterial proteins in Restylane®, so patients with a history of such problems should avoid using the product. As with all cosmetic surgery procedures, it is generally a good idea to wait until after the age of 18 to undergo treatment, since the structure of the face will continue to change throughout adolescence. In addition, qualified patients will have a sound understanding of the possibilities and limitations of the therapy, along with a mature understanding of the risks associated with Restylane®. Those who meet these requirements and have facial wrinkles they’d like to see diminished are good candidates for the procedure. What areas can be treated with Restylane®? Virtually any area of facial skin can be treated with one of the various Restylane® dermal fillers. Creases, deep folds, and light wrinkles can all be lessened through the use of Restylane®. Laugh lines and fine mouth lines are among the most popular targets for the injections. Enhancement of facial contours, usually accomplished with the larger particle size versions of Restylane®, is also possible. Sagging under the eyes, under-projected cheekbones, and recessive chins are often treated with this advanced hyaluronic acid formula. Among other popular applications of Restylane® is its use as a lip filler, where it can enhance volume and shape for months after treatment. In short, any area of the face that lacks volume, shape, or smoothness can experience improvement through Restylane® injections. Restylane® injection is one of the safest cosmetic surgery procedures available, but there are still medical considerations to take into account. As mentioned above, some people may have an allergic reaction to the bacterial protein elements present in the gel; Restylane® is not a good option for those susceptible to this problem. There is also very small risk of contracting an animal-born infection from the treatment. Women who are pregnant or breastfeeding should not use Restylane®.